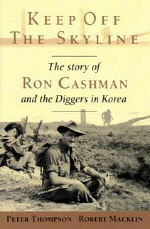 Escaping a violent home life, Private Ron Cashman had just turned 19 when he was pitched into the front line of the Korean War. Over the next two years he fought with the diggers in one of the pivotal wars of the twentieth century. Cashman took part in desperate hand-to-hand combat, was wounded three times and won the Military Medal for saving the lives of three mates. In a brief interlude, he fell in love with the woman who would see him through the conflict and its unexpected aftermath. For more than 30 years Cashman was haunted by visions of the thick white mists that swirled around the Korean mountainsides, providing cover for waves of attacking Chinese soldiers. His traumatic memories led to a restless, ill-starred life, until a retired army psychiatrist used the power of hypnosis to free him from his terrible burden. "Keep Off the Skyline is an excellent account of the little-known experiences of the several thousand Australian infantrymen who fought in the Korean War. This is a splendidly written and strongly founded book. 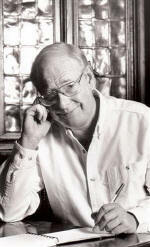 I commend it both as a work of history and a fine adventure story."